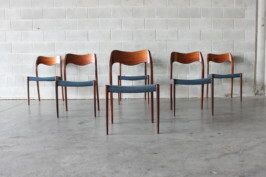 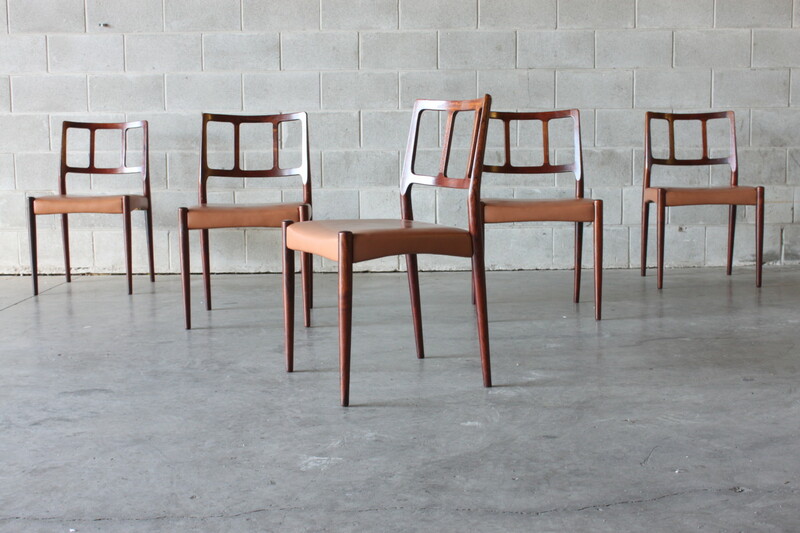 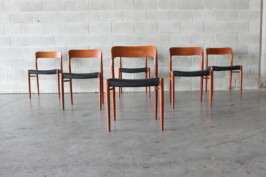 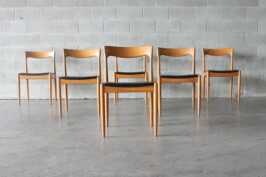 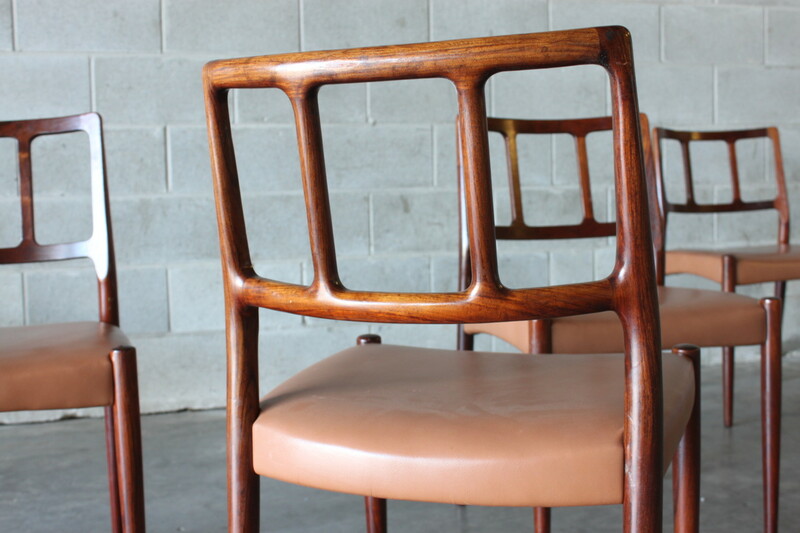 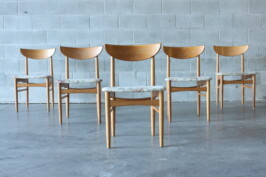 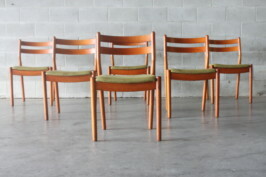 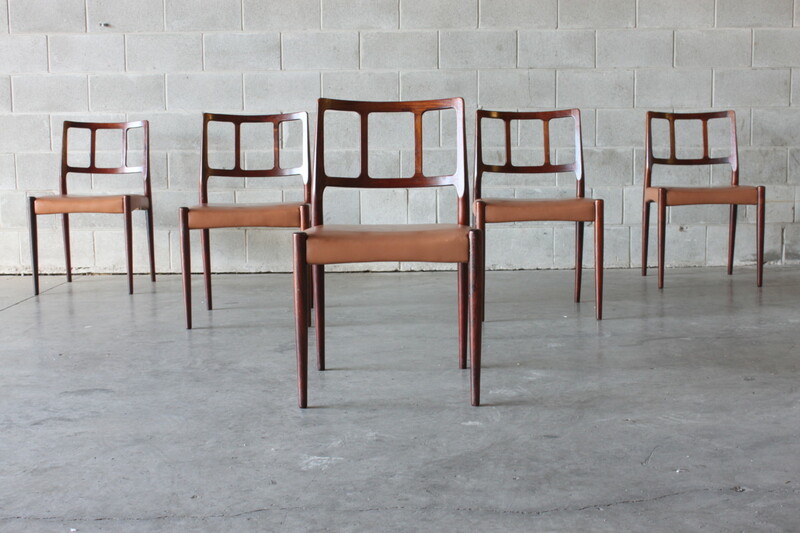 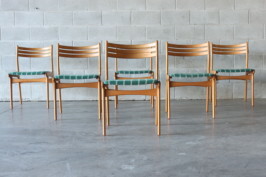 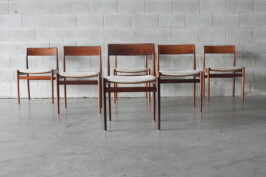 A set of six high end dining chairs by Johannes Andersen. 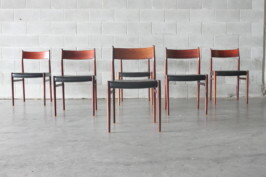 These are made of solid Brazilian rosewood and the quality and craftsmanship is incredible. 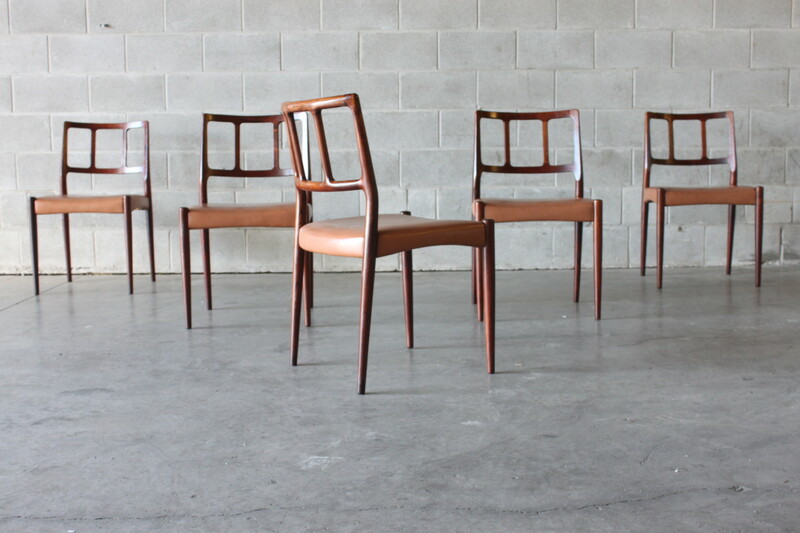 They have the original tan leather which is almost perfect and the chair frames have minimal wear. 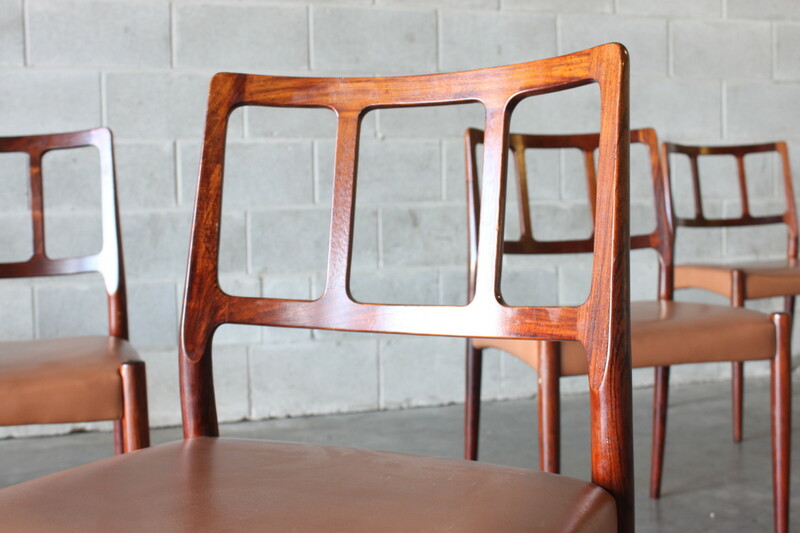 Pair these up with one of our rosewood tables. 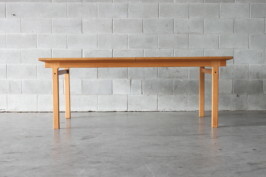 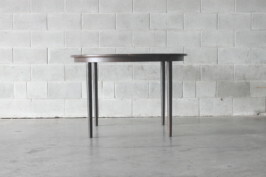 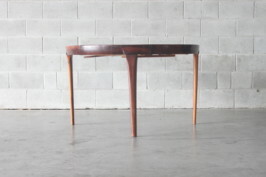 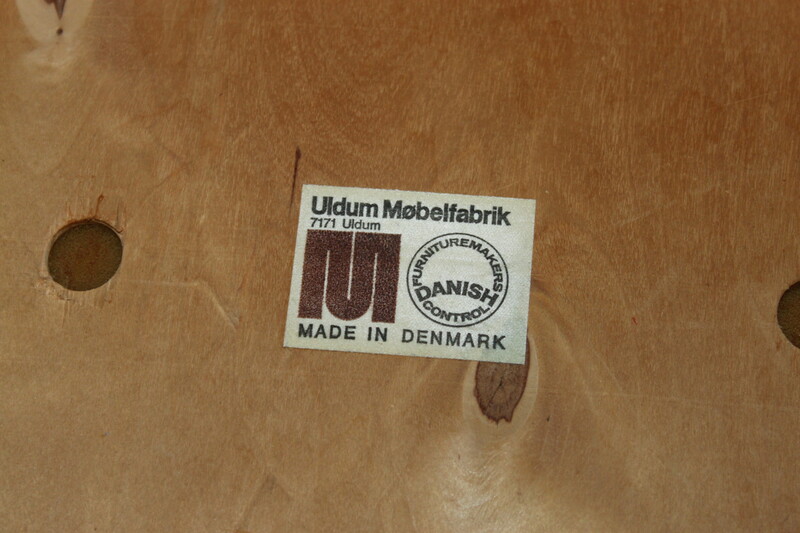 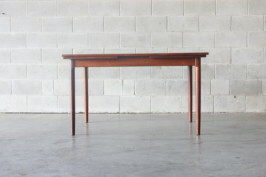 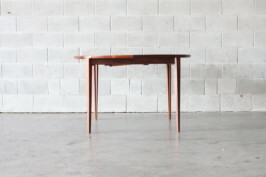 We have two Gunni Omann and one Harry Ostergaard banquet table.